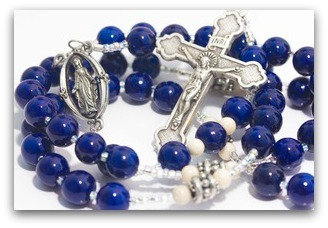 Reflections on the Rosary with Sarah Reinhard: CMCP Blog Tour - The Kennedy Adventures! When I read about the apostles falling asleep in the garden, I always shake my head, because I can relate. I’ve fallen asleep in the most unlikely places, including crowded sports stadiums and movie theaters. When I’m asleep, I can escape from my dread and fear of the future. At least, that’s the theory. When my dreams turn on me, then I know it’s time for something more drastic, something like turning to God. There’s only one place to turn with my dread, and that’s heavenward. There’s only one source of true comfort that will give me actual peace, and that’s God. Facing the long journey of pregnancy and the ultimate end of labor overwhelms me every single time. I can’t sleep through it, though I’ll try at first. I can’t avoid it; I must walk through it. Jesus doesn’t condemn the apostles for sleeping in the garden, but he doesn’t let them off the hook, either. How much better prepared would they have been if they had been awake and praying? How can I learn from them? How can I turn to Jesus in my suffering? Time to grab your beads. Interested in seeing more tour stops? Don’t miss the complete listing over at Snoring Scholar. Be sure to enter to win a Nook (and any number of other goodies) each day of the tour over at Ave Maria Press. You can enter once a day up until October 28. Stop back in next week, and I’ll share my thoughts on how Sarah’s beautiful project touched my heart. I read it after my pregnancy, labor and delivery with sweet baby Maeve — I wished I’d had this book this time last year! 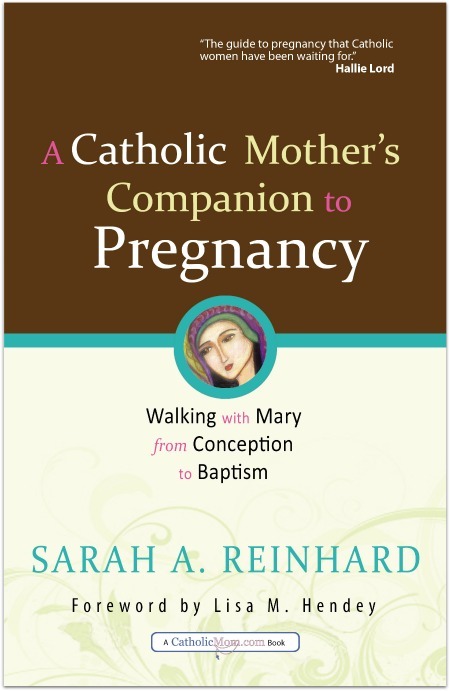 It’s the perfect gift for Catholic mothers traveling the road of pregnancy.